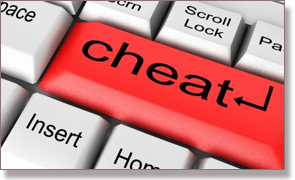 Can Online Casinos Cheat Players? One of the big concerns for first-time online blackjack players, and players of other games, is trust. Questions like ‘how safe is this casino?’ and ‘are these games fair’ are perfectly legitimate, and even veteran web players will find themselves querying the legality of their chosen site in the midst of a horror streak. Let us put some myths to bed so you can hit the 21 tables without any nagging doubts or misguided notions. There is no point denying a blatant truth: gaming venues have certainly cheated their patrons in the past. Indeed, this may have happened to some degree in the frontier days of Internet gambling, just as saloons and brothels cheated miners with rigged dice, stacked decks and wonky payouts during the gold rush in Australia and the US. In the present day, however, there is really no incentive for a casino to cheat, whether on the web or in the real world. For starters, the games available already favour the operators who have the authority to change the rules if they deem the odds are too player-friendly. You just have to look at all the different varieties of web-based blackjack on offer to realise the house can set the edge more or less however they want. The other, hugely important factor is if a gaming site gets sprung doing anything dodgy, then they will find themselves in a world of legal and financial hurt. The regulations and licensing involved in Internet gambling these days is extremely strict, so no reputable casino would even flirt with the idea of cheating. The consequences for getting caught are just too severe. In order to accurately capture the unpredictability of chance games like 21, online casinos use Random Number Generators (RNGs). These are devices which use various mathematical formulae to create patternless sequences of numbers, thus mimicking the natural occurrence of random events – such as the spin of a roulette wheel, the roll of a pair of dice, and the shuffling and dealing of cards. We know what you are thinking – surely casinos can rig their RNGs to work in their favour? It could be done, certainly, but they would have a very hard time getting their enterprise off the ground. To become officially licensed, all Internet casinos are required to have their gaming software certified by an independent third party. This means that RNGs go through exhaustive testing before they get the seal of approval. If the game engines do not meet or exceed the industry standards for reliability, randomness and overall fairness, then they do not get the green light. If you are ever in doubt, most online casinos will have information about their licenses and RNG testing in the About Us section on their navigation menu. We only recommend blackjack sites that are fully certified and secure – so if you cannot find any details about a casino’s credentials, we strongly urge you to look elsewhere. It’s better to be safe than sorry, as the saying goes. Can Blackjack Players Cheat the Casino? This is a topic of considerable debate and the source of a great deal of literature, much of which is dubious at best. 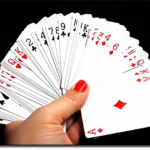 Many so-called experts claim it is possible to get a feel for the pattern of a blackjack site’s Random Number Generators, thus allowing you to predict which cards will turn up in any given hand. This idea stems from the constraints present in the ‘pseudo-random’ systems that most casinos use. Whereas real-life events are genuinely random with no thought for what happened previously, pseudo-RNGs use the same process for every turn, and can carry a memory of past events. Thus, it is supposed that a game’s odds can mutate after an extended run of a particular result. For example: if we lose 10 hands in a row in online blackjack, we would be more likely to win the next round than if we had just joined the table. This is a classic demonstration of the gambler’s fallacy – the concept that any given outcome can be overdue – and to play accordingly would be foolish in the extreme. A pseudo-RNG might not technically produce pure random results, but that does not diminish its unpredictability in a gaming scenario. In the long run, betting big on the basis that you have not drawn 21 in a while will only lead to ruin. One thing we can claim with absolute certainty is that casinos and third-party testers will do the utmost to identify and rectify even the faintest hint of a potential loophole or malfunction. 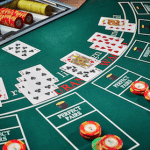 That is not say that mistakes have never been made in the past – indeed, one or two gambling sites have gone under due to sharp-eyed players exploiting weak RNGs. But that’s the thing: even if you find an online blackjack game that throws money at you, it probably won’t be there tomorrow.